We hope you have enjoyed the past week as we revealed our shapewear stylists who work tirelessly to revolutionize your Hourglass Angel experience. 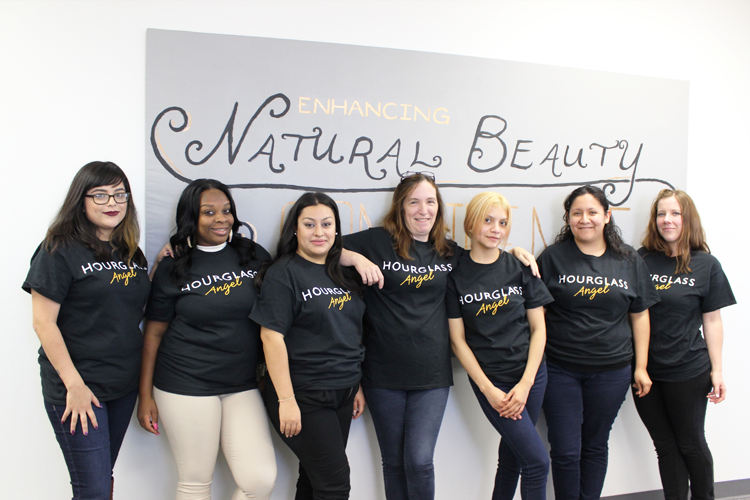 These talented women love to help customers, and we'd like to highlight the impact that they can provide to your shopping experience. If you ever have questions about what to buy, these stylists will help you find exactly what you want according to your needs. You'll receive a personalized experience based on your short- and long-term goals, your preferences, body shape and lifestyle. Your shapewear wardrobe will best suit you. You can reach them at 877-442-4530, on live chat, or at info@hourglassangel.com. "I'm in love!! Daisy was so nice and very helpful in helping me find the right garment for my particular needs. I definitely will be purchasing more from this company. I highly recommend you great product and also very easy to clean. " –Melanie L.
"Great product and customer service!! I first ordered a size XL but after receiving it I noticed that it was too small. I contacted customer service and spoke with Mykeshia. She was very helpful by walking me through the exchange process and making sure that I chose the correct size, which was an XXL. The exchange was very quick and easy. I now have the correct size and I am enjoying the product so far. I will definitely order again." –Darlene W.